In the last few months I’ve been super busy with lots of new things. Unfortunately, my little blog took the back seat. I hope to be able to get back to the blog world with some new tutorials and keep up with my new love too. What is this new love you ask?? Her name is AddilynMichelle. Her name is my daughter’s middle names put together. And here is how she came to be. Back in September I made a little dress for my youngest daughter. Seems innocent enough right? Well immediately after I posted the picture, on my facebook wall, of my daughter’s new Clemson dress I received numerous requests from Mommies wanting one for their littles! 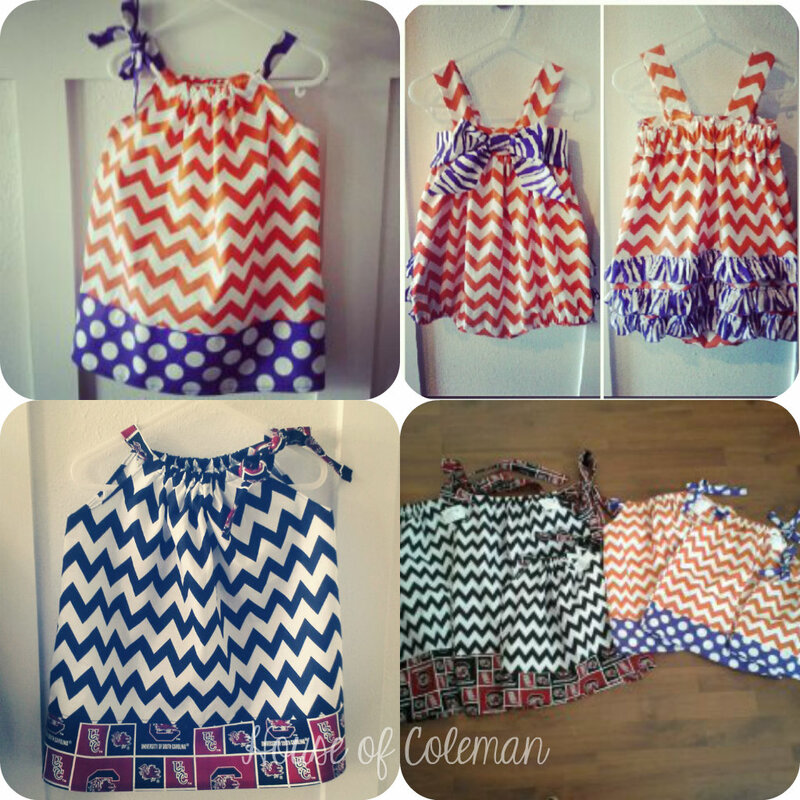 So I made a few Clemson themed dresses and even had to make a few Carolina themed dresses, for a few friends. Shortly after I made my daughter a Clemson themed romper and the creative juices started flowing! I realized I wanted to get back into the sewing scene. I’ve created LOTS of dresses and boutique outfits over the years but I always find myself getting burnt out too quickly and after a few months I’m ready to throw in the towel. This time I knew that was not what I wanted to happen. So, unlike any other time I’ve ventured into this, I decided to actually sit down and plan out what I wanted to accomplish. I chose the style of dresses and pants I wanted to make and then went on to brainstorming the ideas for each dress and pant. 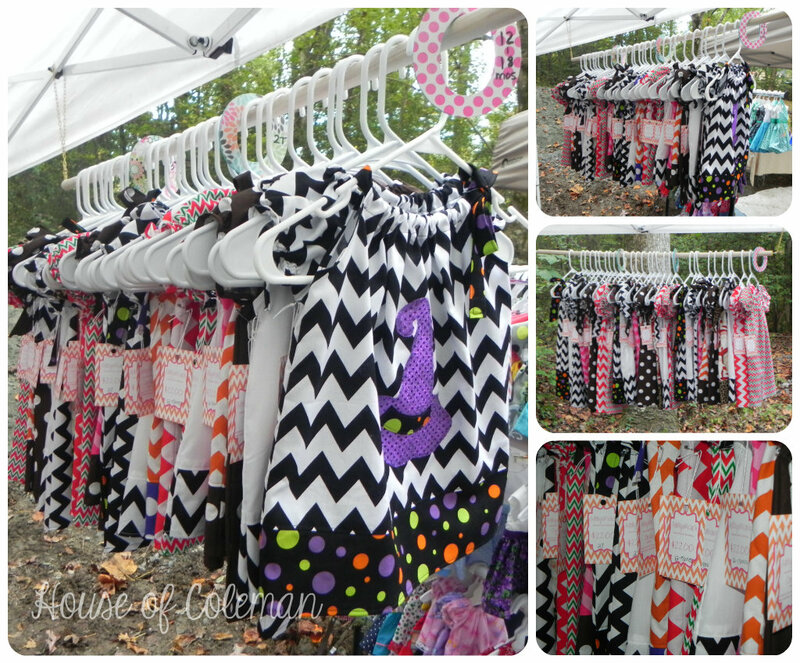 I soon realized my favorite fall festival was coming up right around the corner and I really wanted to make some dresses to take and sell! HOLY MOLY!! 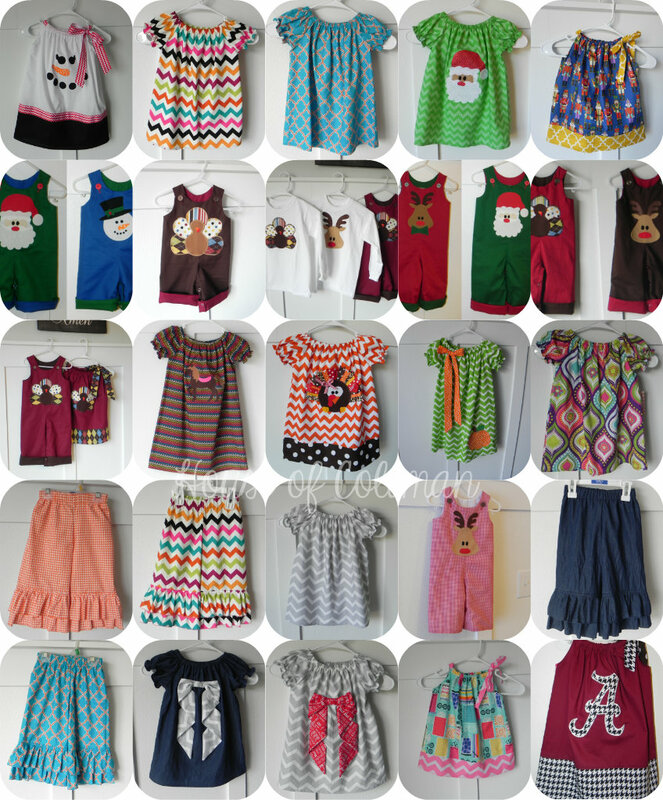 In 3 short weeks I made 62 dresses! I created some tags for my dresses the night before the festival and by the seat of my pants I was ready for the festival! And….it paid off! 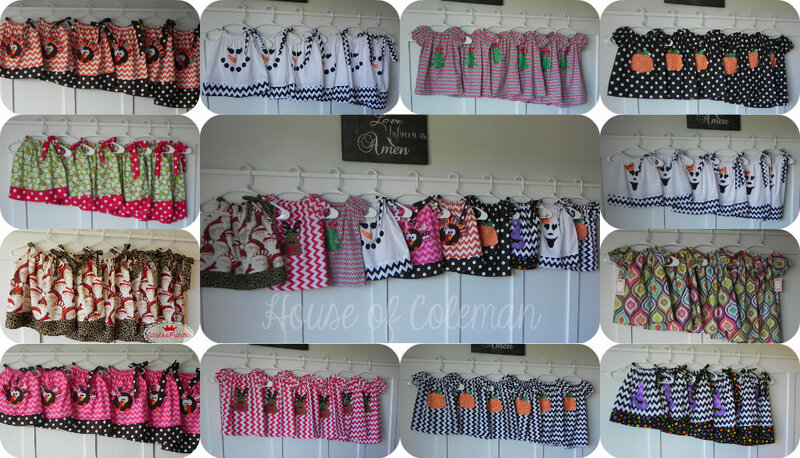 I sold all but 26 dresses in one day! I really did not expect anything when I went and to be busy and meet so many people who liked what I had was truly a humbling experience! As soon as I returned home I was more pumped than I ever had been for this little business of mine! I opened up an Etsy shop and started listing all of the dresses I had made for the festival that didn’t sell. Since then Etsy has been a great success for me. I stitched up a little boys reversible longall for the Thanksgiving/Christmas holiday and that along with the girls turkey dresses sold like hot cakes! They have since been the most popular designs I’ve made. October, November and December all flew by like crazy! 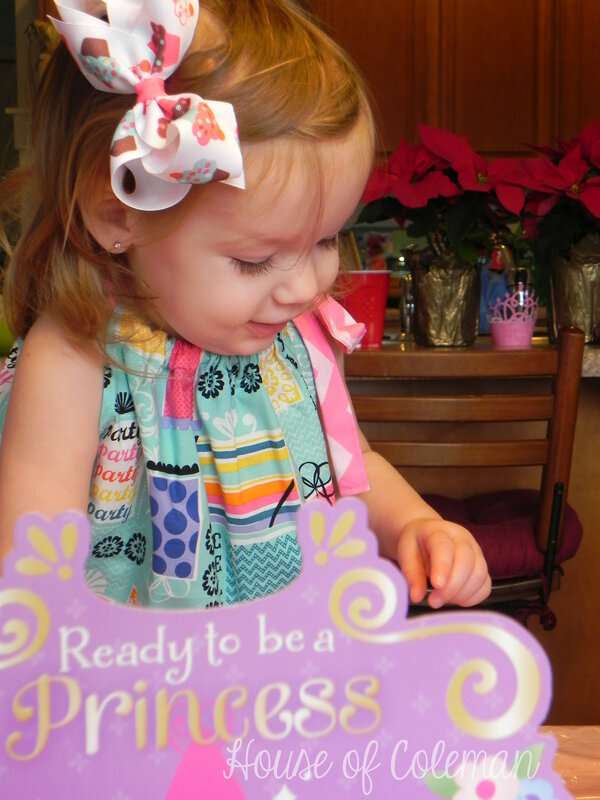 On top of the holidays my youngest daughter turned 2 at the beginning of December and we had a little party for her! With the birthday, holidays and clothing I’ve been so busy but so grateful for it all! And now going into the new year I’m excited to see where this little business goes from here! Since many of my designs were focused on the holidays, I’ve had to get the creative juices flowing again and make some Valentine’s Day items. For some reason Valentine’s Day and St. Patrick’s Day have always been the hardest holidays for me to get my ideas together and actually get something made. But despite that, this year I got it together….maybe a little delayed…but none the less I’ve cranked out 6 designs for Valentine’s Day! One longall for the boys and 5 different dresses for the girls. I’m excited to see where this year will take me! 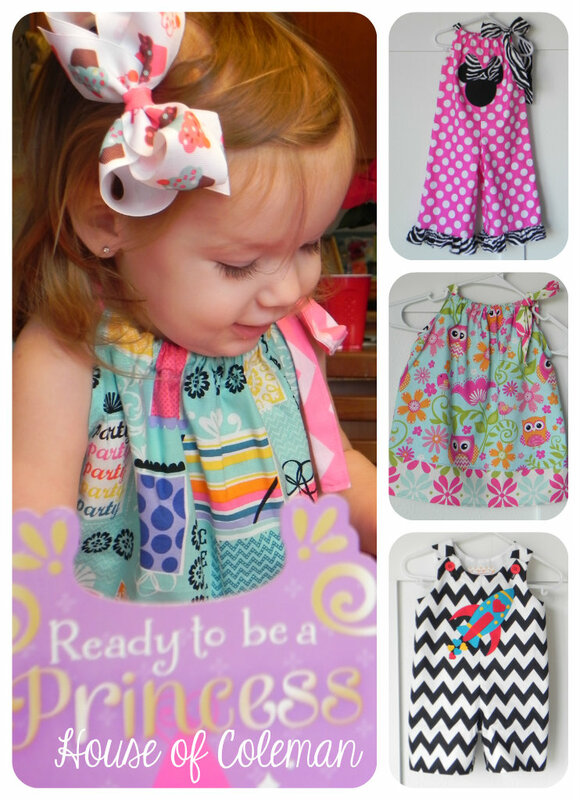 I hope to continue making clothing and keep up with this little blog of mine at the same time! Wow . 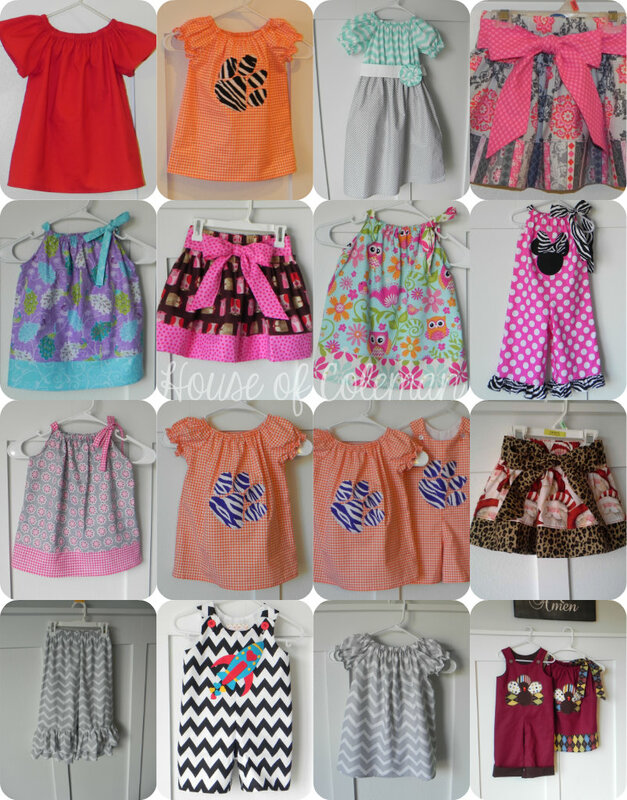 . . these dresses are amazing! So happy for you!! !